Using the Custom Date Sort tool you can calculate a percent change criteria for a group of symbols for any specific period of time. 2. 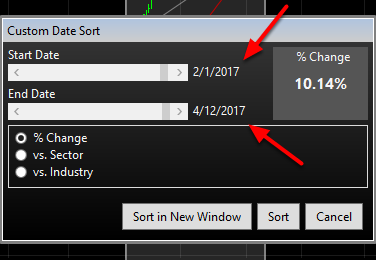 Select Custom Date Sort. 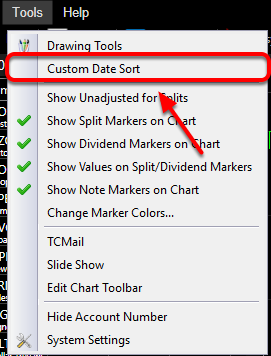 The custom date sort tool can also be accessed by using the hot key combination "Shift T"
3. Click and drag your cursor over the period you want calculated. 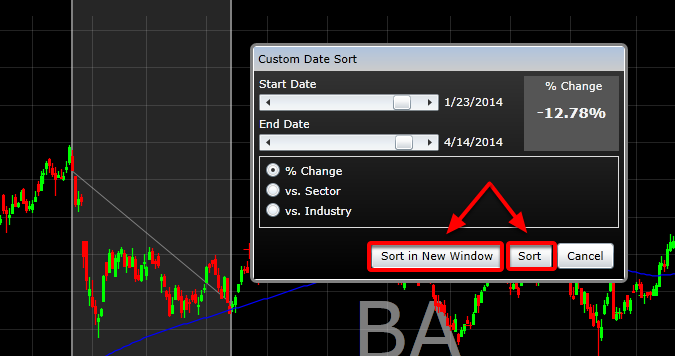 You can also use a trendline to define a custom date sort range. 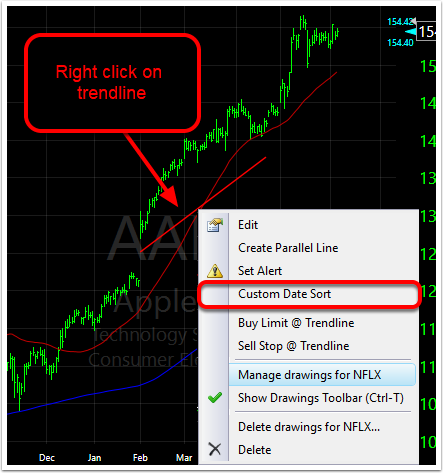 To do so right click on any drawn trendline and select Custom Date Sort. 4. You can then fine tune the date range within the dialog that appears once the initial cursor selection is made. There are three option buttons just below the sliders on the Custom Date Sort dialog that let you choose how the sorts are calculated. This option will always default to % Change. % Change: Calculates the percentage change in price between the start date and the end date specified. vs. Sub Industry: Calculates the difference in percent change of Price vs the Sector. vs. Industry: Calculates the difference in percent change of price vs. the main industry. 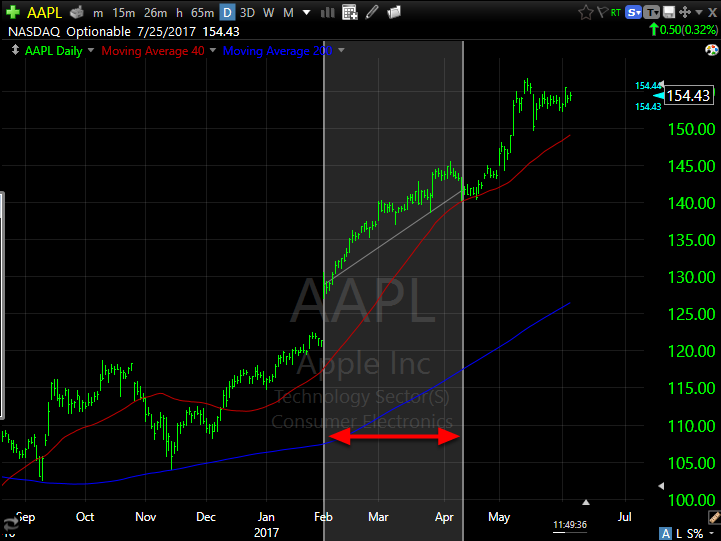 If, for example, the stock was up 20% and the industry was up 15%, the resulting value would be 5%. 5. 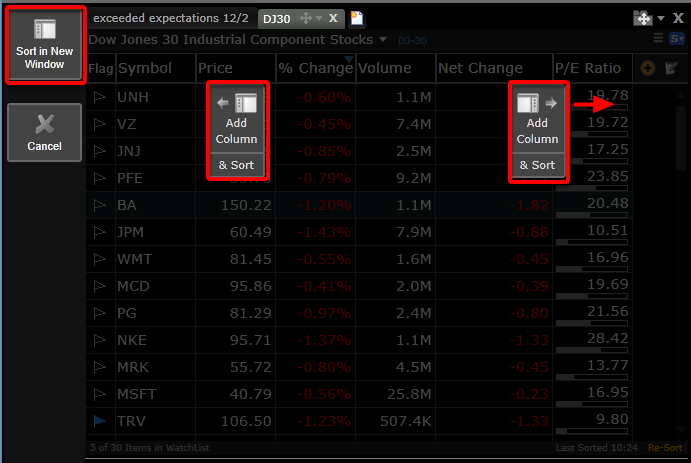 Select Sort in a New Window or Sort to add the column to an existing watchlist. If you select Sort, choose where you would like to place this column. 6. The custom date sort column has been created.